All of Austin is a stage and we like it that way. There are 250+ music venues in our fair city and the music scene is constantly evolving to fit the expanding needs of our local and touring artists. Whether you&apos;re here for a short stop or an extended stay, fitting one of these quintessential musical experiences into your visit is an absolute must-do. Antone’s Nightclub: One of the East Sixth Street neighborhood&apos;s earliest and most prominent blues venues, Antone’s has hosted legends such as Stevie Ray Vaughan and B.B. King over the years. 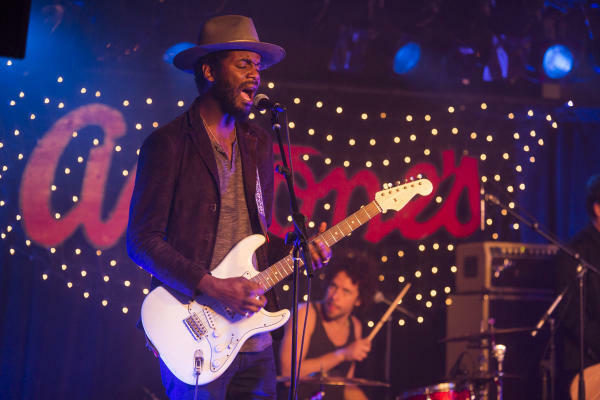 Today, Antone&apos;s still offers blues and soul music seven nights a week within its storied walls and, if you&apos;re lucky, you may even catch current operating partner Gary Clark Jr. take the stage from time to time. Elephant Room: A mainstay in the Austin scene since the early &apos;90s, the Elephant Room has provided the downtown area with live jazz performances that you can catch on any given day. This basement lounge is ideal for grabbing a cocktail with friends and enjoying music in an intimate setting. Speakeasy: This multi-level, prohibition-style bar and music venue hosts live acts six nights a week. Stop in for drinks and a show or check out the rooftop terrace for incredible views of downtown Austin. *Insider trivia: The building is a stop on the Haunted Austin Tour and may or may not be home to a few local ghosts! Pete’s Dueling Piano Bar: A local institution that has spawned several other venues of the same name throughout the state, the original Pete&apos;s still hosts duels seven nights a week in the heart of downtown Austin. This piano bar brings an infectious energy to East Sixth and is the perfect place to spend the night with all your friends in tow. Cedar Street Courtyard: If you walk by without stopping, there’s a chance you might miss this little gem tucked intimately between restaurants on West Fourth Street. Cedar Street Courtyard has live music and several bars available, perfect for having a drink and hearing great tunes while enjoying the scenery. Rebel’s Saloon: What would the capital of Texas be without some two-stepping and live country music? Rebel’s Saloon, located right downtown, has your western fix with live music five nights a week and even offers free dance classes on Saturday nights. For more Downtown Austin sounds check out our Music Austin Spotify channel and rock out to the Sounds Like Austin: Downtown/Sixth Street playlist! Contributed by John Esparza, ACVB Music Marketing Intern.